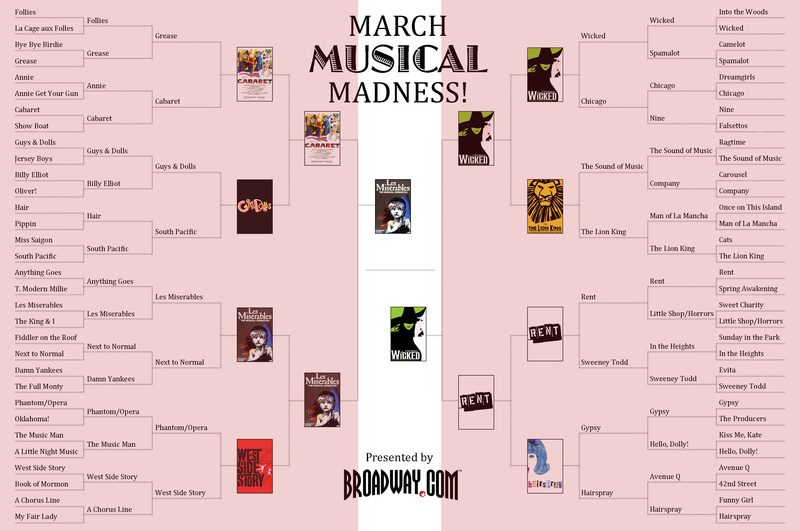 March Musical Madness, Final Round: Les Miserables vs. Wicked in the Championship! It’s finally here! Broadway.com’s March Musical Madness has reached its championship round, and the two shows in contention for the All-Time Best Broadway Musical just might surprise you! On one side is Les Miserables, the groundbreaking epic that’s become a household name since bowing on Broadway in 1987. Written by Claude-Michel Schonberg, Alain Boublil and Herbert Kretzmer, the show has enjoyed hundreds of worldwide productions, a hit Hollywood adaptation and thousands upon thousands of devoted fans. A new mounting of Les Miserables will hit Broadway in 2014. On the other is Wicked, a box office smash that debuted on Broadway in 2003 and has since left its massive mark on the musical theater lexicon. Stephen Schwartz and Winnie Holzman’s Wizard of Oz prequel is still Broadway’s highest-grossing show, and its pop cultural significance can be felt throughout the country—and the world. Wicked currently runs at the Gershwin Theatre. 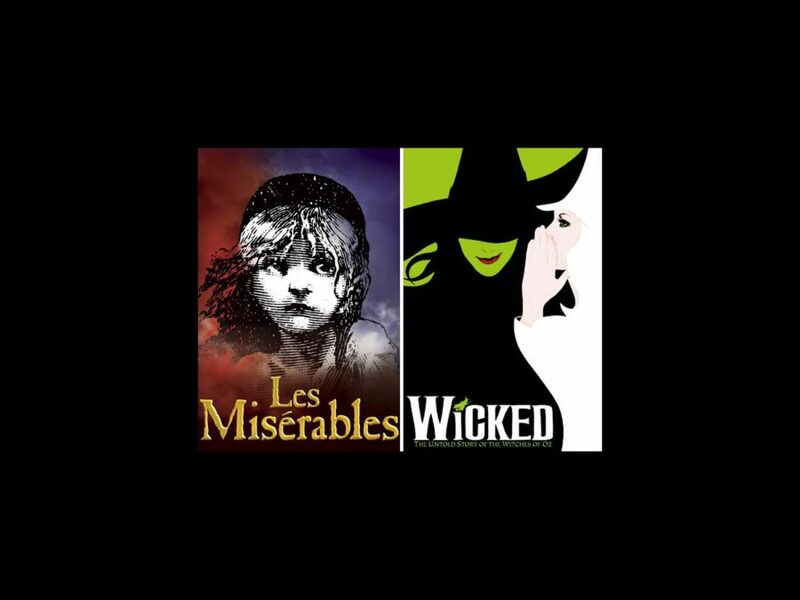 Which of these two top-notch shows gets your vote for the All-Time Best Broadway Musical? Make your pick and check back in next week to find out which show will be crowned champion!